was really slow going, though - i need to learn how to cimb so that i can get to the juicy bits first! there were lost of climbs today - 2200 m of it - (next year i'll train a bit more) and some downhills to match, of course! the rocky climb to the nando's stop was hot and i was really tired there. caught sight of the tandem a few 100 metres ahead of me, and they kept me going. the water table (and glen lubing my bike) was welcome - and so was the brief bits of technical downhill-relief before the climbing would continue. 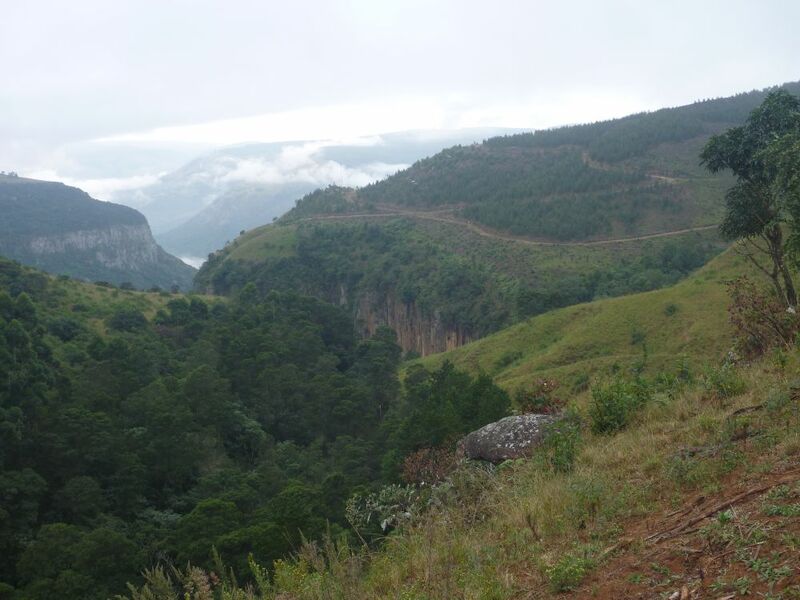 the umkomaas valley is a bit of a blur - i remember seeing cruxpearl, spinnekop, ducttape and the tandem a few times on these stretches. was tired when i finally got out of that climbs and to the last waterpoint. but suddenly the bike came to life again: there was some good singletrack to be had, and the bike is well trained for that. i took my first tumble of the day when i tried to pass the broken-tandem-spectacle. on singletrack, 2 guys pusshing the tandem, and the tandem on tow behind another bike. so i decied i don't want to be there when it fall ... and passed them on singletrack, looking at the spectacle in stead of in front of me ... and then did a spectacular endo just after commenting that i don't want to be around when they fall. unfortunately bent the front shifter (the new pink one) so have only granny gear at the front at the moment. then there was a last steep climb with lots of kids asking for their chocolates, a rocky descent, and a hot shower. rajesh, congrats on the twins' birth - hoping that neroshni get well soon! 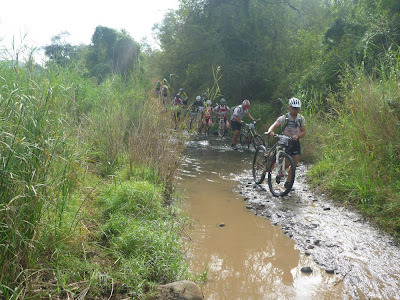 joberg2c day 7: sani2c dualtracks at last! joberg2c day 1: it's finally happening! Joberg2C - 3 weeks to go! !